The Dutch prosecutor’s office says it lacks information to read the radar images provided by Moscow after the Dutch-led team of international investigators published its report into the crash of MH17 in September. “Further information is needed to properly understand the meaning of the radar images,” a spokesman for the Dutch prosecutor’s office said in Amsterdam on Saturday, as cited by Der Standard. The spokesman claimed the format in which the data was presented by the Russian side in October has failed to meet international standards. The Dutch investigators have forwarded a request to Moscow “to send the correct information”, Der Telegraaf reported, citing the spokesman for the prosecutor’s office. A similar request was reportedly sent by the International Organization for Air Safety, according to the publication. Evert van Zijtveld, chairman of the MH147 Aviation Disaster Foundation, said the confusion with the interpretation of the radar data is a major setback. “Therefore, there remain doubts about the true causes of the crash. This could not be allowed,” he told Telegraaf, adding that the families of the victims are still in the dark about the course of the investigation. “We still know officially nothing on the progress,” Zijtveld said. Russia had handed over radar data from the area over Eastern Ukraine where the plane was brought down on July 17 2014 to the Dutch embassy in Moscow late October. All 298 people onboard the plane were killed. “We gave the Dutch side raw radar data which we discovered a month ago,” Russia’s foreign ministry told AFP at the time. It was hoped the data could shed extra light on the circumstances of the crash, which is an ongoing source of contention between Moscow and the Dutch-led investigation team. 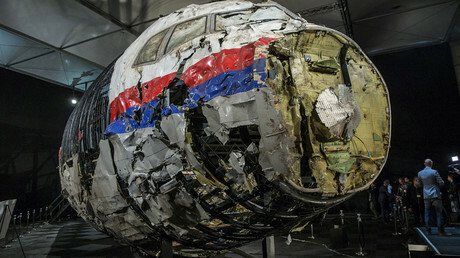 The September report by the Joint Investigation Team (JIT), comprising aviation experts and investigators from the Netherlands, Belgium, Australia, Malaysia and Ukraine, determined that the Malaysia Airlines flight was shot down by a 9M38-series Buk missile from the village of Pervomayskoye, controlled by rebels at the time. 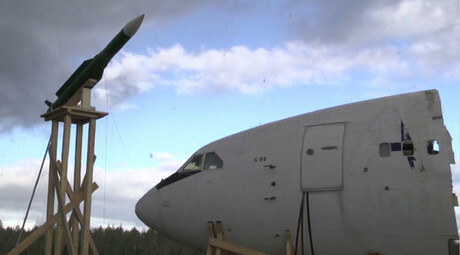 It also alleged the missile was brought on to Ukrainian territory from Russia and returned after its launch. 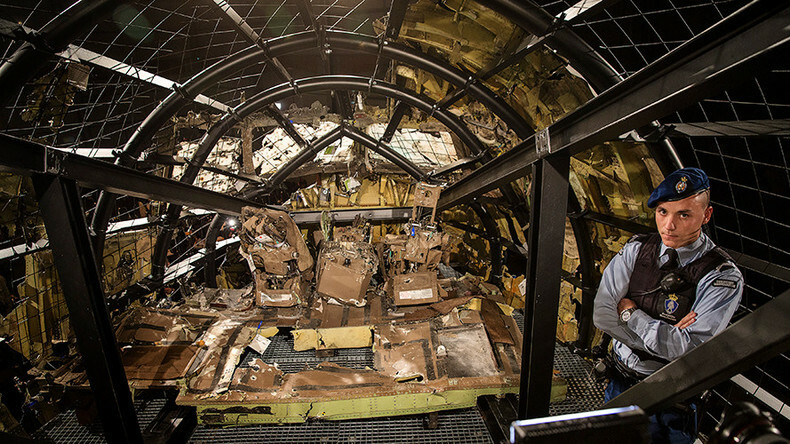 The conclusions corresponds to Kiev’s version of the events surrounding the crash. Moscow has however, disputed the findings, criticizing the inquiry as politically motivated and biased towards Ukraine, arguing that Kiev exploits its position as a full-fledged member of the JIT to direct the investigation. The Russian arms company Almaz-Antey, the manufacturer of the Buk missile, has also cast doubts on the outcome of the probe, stating that the nature of cockpit wreckage indicate the Buk was far more likely approaching the target from the territory controlled by Ukrainian forces in the village of Zaroshchenskoye. Almaz-Antey conducted three full-scale experiments to determine the likely point of the launch. Dutch authorities have said they are mulling the possibility of relaunching investigations at the crash site, following Dutch journalist Michael Spekker’s recent discovery of victims’ remains there. The human fragments which Spekker brought with him to the Netherlands were later confiscated by police as well as his devices on which had recorded interviews with potential witnesses. Spekker’s colleague Stefan Beck told RT earlier that some of the footage is of a sensitive nature, “We held interviews with local people, and some of those people only wanted to talk with us on basis of anonymity, so that their identity would be concealed, and as you might know, the representative of Ukraine to the Joint investigation team is the SBU, the Ukrainian secret service. And we’re very very worried that some of the people who we interviewed might get repercussions when they are known to the SBU and the Ukrainian authorities,” Beck said. Previously, the Dutch investigators claimed it was “too dangerous” to gather evidence at the site. If the Dutch had problems reading the data handed over by Russia, they could have simply requested help from the Russian specialists rather than waiting for months before making the fact public, pointed out Major General Aleksandr Tazekhulakhov, former deputy head of the Russian Ground Forces’ Air Defense. “But this would pose another problem: the Netherlands is doing every possible thing to keep Russia away from this investigation,” he told RT. “The European Union has a standard [for raw radar data], but Russia never signed the documents regulating it, so it’s natural to provide data in the format accepted here in Russia,” he added. Other experts wondered why it took the Dutch side so long to find out the Russian data was submitted in the wrong format. “It’s simply not plausible to wait this long and then say ‘Oh we can’t read what you’ve given us,’” James O’Neill, a geopolitical analyst, told RT. “The main problem is: why did it take so long [for the Dutch] to realize that the data can’t be deciphered,” he told RT.